Why we can call our glitter cosmetics grade? In Sep 20st,I have a customer visting our company.She is looking for cosmetics grade biodegradable glitter. She asked:why Germany? Yes?Why Germany? Federal Ministry of Health (Germany), is a cabinet-level ministry of the Federal Republic of Germany which is the highest German federal government department responsible for health. European and international health policy, including the work of the Federal Government Narcotics Officer and the patients’ ombudsman. The most important thing is that you must pass the 19 Toxic Element Migration Test and the test result show lower than the limitation. 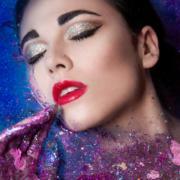 for cosmetics,then you can call the production cosmetics grade glitter. https://www.fineglitterpowder.com/wp-content/uploads/2018/09/186.jpg 640 640 fineglitterpowder https://www.fineglitterpowder.com/wp-content/uploads/2018/09/logo.png fineglitterpowder2018-09-21 03:33:072018-09-25 07:21:09Why we can call our glitter cosmetics grade?